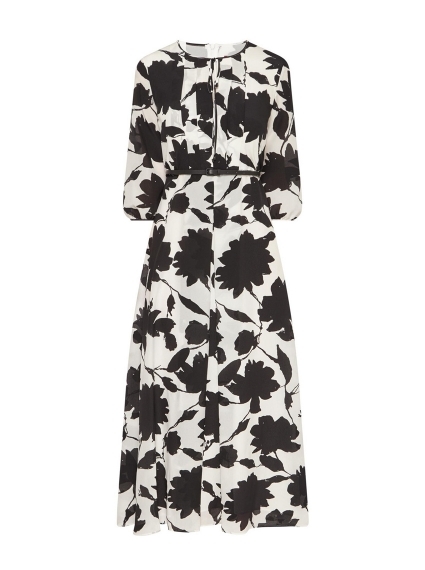 Bring contemporary femininity to your collection with the Brenta Printed Dress from Max Mara Studio. Working a sumptuous pure silk construction, the eye-catching design is elevated by pleated details at the front, while it's finished with a round neck with keyhole fastening. Perfect the look with tonal heels.